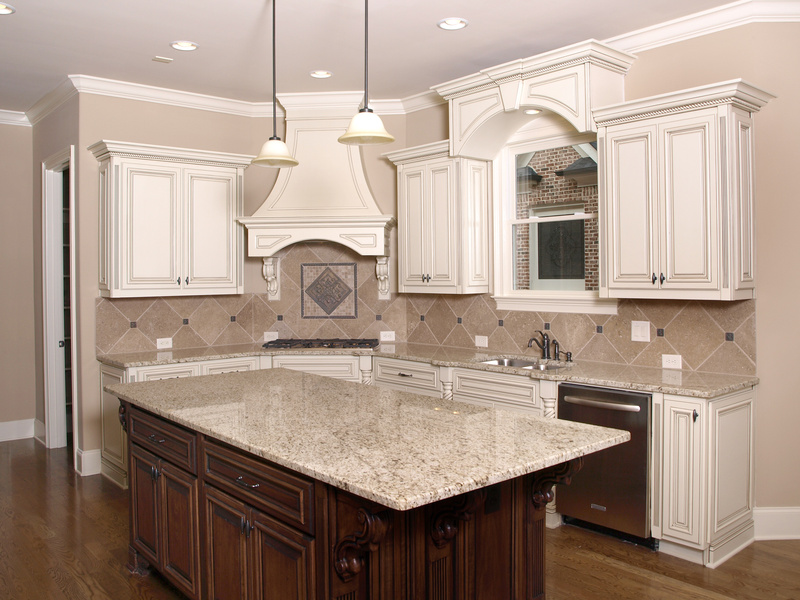 An attractive kitchen island can be the focal point of your entire kitchen, welcoming visitors, friends, and family. It can also add resell value to your home should you decide to sell. Kitchen islands have something in common with kitchen cabinets and kitchen countertops; they come in a wide variety of materials and pricing options, whether you build it yourself or purchase one readymade. That means you should easily be able to design or purchase a kitchen island to match the rest of your décor if that is the only project you are currently working on. You want to make every bit of your floor space count so build or purchase a kitchen island with plenty of storage. Alternate between shelf space and drawer space so you will have a variety of storage options. You might even consider installing deep drawers or pull out shelves to maximize your storage options. Look at several types of kitchen islands before making your final decision so you will be aware of all your options. Kitchen islands provide added workspace so it is ideal if you plan your storage around the activities you will be doing at the island. If you will be preparing food, this would be a good place to store cutting boards and small appliances. Also, make sure your island contains plenty of electrical outlets. It’s also important to consider the surface of your island in relation to the type of work you will be doing. For food prep, choose a flat, smooth surface that is moisture and heat proof. Also, consider surfaces that resist stains and bacteria for optimum functionality. Will your kitchen island be a place for people to hang out, eat, do homework, or work on the computer? If so, you will want to install the right kind of top surface that hangs over the edge and will accommodate barstools. Here again, you want to choose the type of island that will serve your needs well and look good at the same time. Some people choose to include a sink or a cooktop in their kitchen islands. Whether or not you choose to do so depends on your individual needs and budget, of course. But that’s why it is important to think about your needs in advance so you can plan accordingly. Including a cooktop would drastically cut down on the available workspace your kitchen island would provide, although including a small sink would still leave you plenty of room to prepare and serve meals. Lighting is another option you may want to consider for your kitchen island. You want to have plenty of light for various activities so you may want to consider installing lighting over the island, perhaps even a dimmer switch so you can control the amount of lighting depending on what you are doing. Plan your kitchen island to suit your needs and the needs of your family. Also, consider how the island will merge with the rest of your kitchen and your home and how it will add resell value to your home in the event you decide to sell one day.